Then pay your deposit for your clinic online on the payment screen. Deposit is 50% of the clinic cost. Both Paypal and credit/debit cards are accepted. If you would prefer to register manually, send us an email at tmyerstraining@gmail.com for a manual registration form which can be printed and mailed in along with your deposit check, which is 50% of the clinic fee. All clinic spots are first come first serve, either by registering and paying your deposit online or by receipt of your manual registration form and deposit check. The balance of your clinic fee is paid by check or cash when you arrive for the clinic. See cancellation policy to the right. If a clinic is full and you would like to get on a waiting list, send us an email at tmyerstraining@gmail.com. Auditors are always welcome! Auditing is $20.00 per day. Lunch is additional. Please wear weather appropriate riding apparel. Helmet required if under age 18. I understand the possibilities of injury or death associated with being around horses. However, I still choose to ride without a helmet and/or other safety equipment. Please do not bring dogs without prior approval. 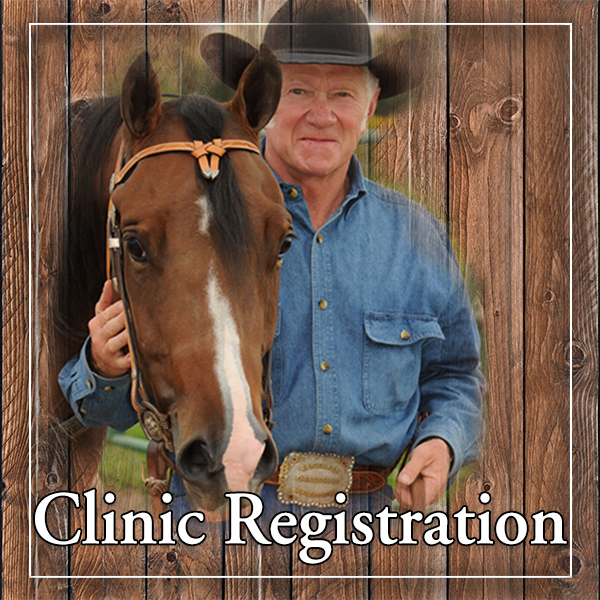 All registrations to ride in Terry Myers Clinics require NON-REFUNDABLE deposit paid either online or submitted by mail. In the event you must cancel at any time prior to the start of the clinic, your deposit (50% of the clinic price) will not be refunded. However, you may fully transfer to another date in the same calendar year or sell your spot in the clinic to anyone you choose. If an opening occurs in a clinic, we will email everyone on the waiting list and give them 24 hours to respond to the email. Participants who wish to fill the opening must pay the required deposit to hold their reservation in the clinic. Health requirements: all out of state horses must bring a current Coggins and we request that all horses attending the Terry Myers Clinics be current on all shots. Notes: Some clinics are limited to 4 and 10 participants.